Arkansas Gov. Asa Hutchinson asked state lawmakers Wednesday to amend the newly passed Religious Freedom Restoration Act so that its language would mirror a federal bill signed by President Bill Clinton in 1993. Hutchinson addressed the bill in a press conference Wednesday after Indiana's passage of a similar bill generated widespread outrage from critics who said it would allow businesses to discriminate against LGBT individuals. “The bill that is on my desk at the present time does not precisely mirror the federal law," Hutchinson said. “I ask that changes be made in the legislation. ... We want to be known as a state that does not discriminate." Hutchinson said his own son signed a petition that urged him to veto Arkansas' Religious Freedom Restoration Act. The measure, also known as HB1228, passed Arkansas' House of Representatives Tuesday with a 67-21 vote. Arkansas' top State Sen. Jonathan Dismand and House Speaker Jeremy Gillam said further debate on the bill among state legislators would not necessarily result in Hutchinson's desired changes, according to the New York Times. The governor said he would consider an executive order to change the bill if legislators could not produce meaningful alterations. Hutchinson said he did not think the initial bill was meant to allow for discrimination against any group. "What is important from an Arkansas standpoint is one, we get the right balance and secondly, we make sure that we communicate we're not going to be a state that fails to recognize the diversity of our workplace, our economy and our future," he said. Several major voices, including Wal-Mart and Little Rock, Arkansas' chamber of commerce, have criticized the religious freedom bill as damaging to the state's economy, according to the Associated Press. Human Rights Campaign, a top advocacy group for LGBT rights, praised Hutchinson's decision to halt the bill, but called on both the governor and Arkansas state legislators to enact meaningful changes. "It's clear Gov. Hutchinson has heard the voices of thousands of Arkansans and millions across the nation, and today's decision to temporarily stop this discriminatory law from advancing is a sign of progress," said HRC President Chad Griffin in a statement. "But the proof will be in the pudding, and we must now wait to see what actions and language Gov. 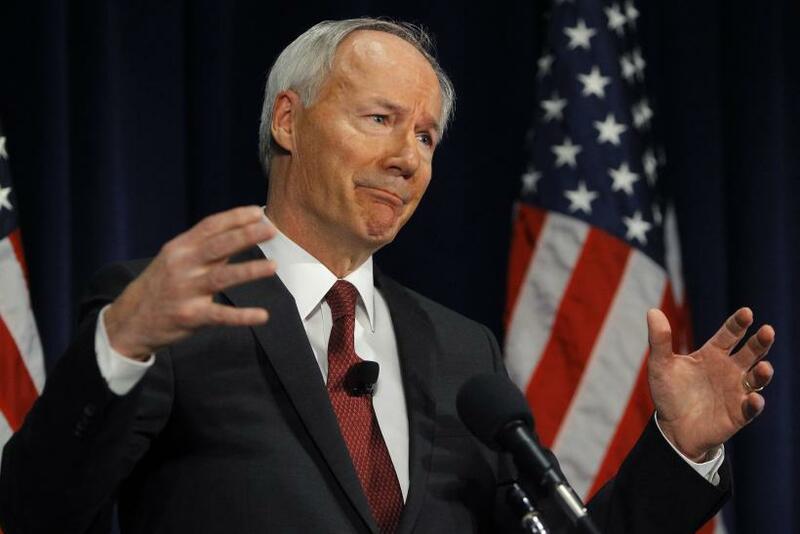 Hutchinson and the Arkansas Legislature put forward in the coming days and weeks."